Filter coffee is the most popular choice for large gatherings such as meetings; conferences; vehicle show rooms, hairdressers, estate agents and anywhere where a large amount of coffee needs to be instantly available. 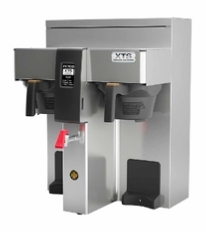 We supply the Avenia range and other drip-filter machines. The two jug system, the single pot brewer and the more complex touch screen controlled Fetco 2132 two-pot brewing system. There are many options available to the home user. The bodum or plunger methods is a popular choice. A few spoons of filter coffee, usually a larger particle ground, is placed in the pot with hot water. Let this infuse for a few minutes and, after pushing the plunger slowly down, you will have your coffee. There are also various types of machine drip filters available at your appliance store. A cliched and overused expression I suppose but when it comes to machines, including coffee machines, this truism certainly applies. The supermarket bought appliance is good enough for home use but we recommend the Avenia for large offices and upwards. 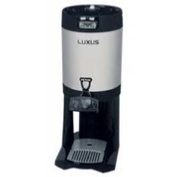 Our prices start from around R 3900, more expensive than the typical supermarket appliance, but the machine is designed to give you many years of good coffee and good service.